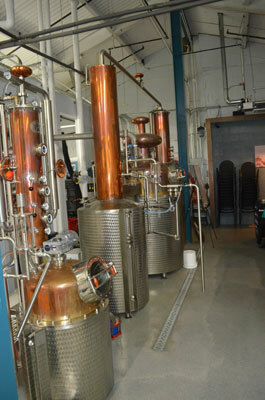 There are many distinguishing factors in the product line of Boardroom Spirits, a craft distillery in Lansdale. For instance, the flavors that are intertwined into its distilling process are real. They&apos;re not artificial. They&apos;re not extracts. They&apos;re not juices. They result from the use of whole fruits, locally sourced. That commitment to natural ingredients has led to some surprising misfires along the way, according to owner Marat Mamedov. "We tried working with blueberry," he describes. "But what we realized is that a lot of blueberry flavoring is chemically produced. You know when you break open a blueberry muffin and smell that distinct scent of blueberry? Well real blueberries don&apos;t smell like that. "They don&apos;t taste that uniformly blueberry, either. It&apos;s not like a Jolly Rancher. In a handful of blueberries, there are sweet ones; there are tart ones; there are those that are under- and over-ripe. And all that variety affects the overall flavor profile." Finding the exact balance to produce a potable blueberry vodka took some doing. But through trial and error, they eventually got it - along with a cherry variety. That willingness to experiment, to innovate, is woven tightly into the business plan of Boardroom Spirits. Their story began in Hungary, where the Mamedov brothers - along with Marat&apos;s wife Zsuzsa Palotas - had all launched fairly successful, fairly traditional business careers. Marat, for example, was a management consultant for Deloitte. An entrepreneurial spark caused them to collectively leave the world of suits and ties - as well as their homeland. "We knew the value of a good product and brand stewardship," Marat says. 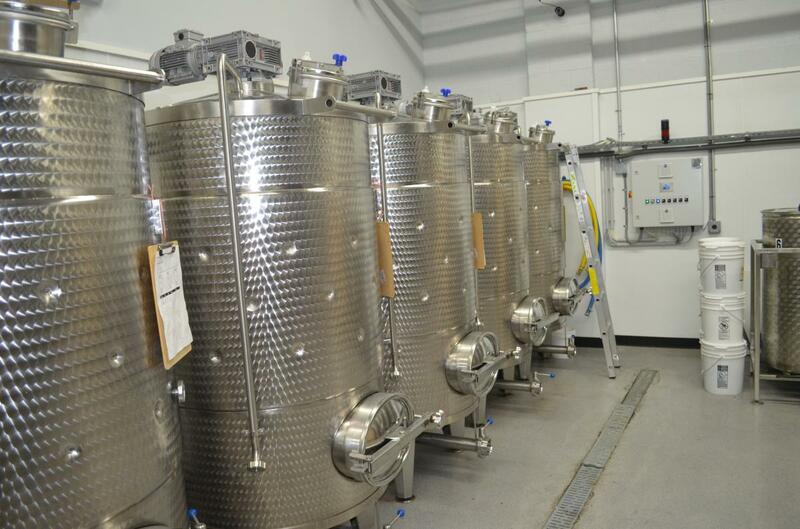 "We also studied market data showing the distillery business on the rise. Sales of craft brews and craft wines were up, leading to what we saw as an opportunity with craft spirits." They were armed with business savvy and some capital, but what they lacked was an understanding of the chemistry of distilling. But that knowledge was accessible, and before long, they had the equipment and the know-how. "We wanted a location that would put us in good position to market, with a good reach to major metropolitan areas. We also wanted a supportive community, some place with entrepreneurial energy that we could tap into. Last, we wanted a place where nobody would compete with our product. Lansdale met all our needs," says Marat. The former site of Tyco Sprinklers was vacant, and there was something about the simplicity of the building - cinderblock walls, concrete floors - that appealed to the Mamedov brothers. "Where the stills are now was the mechanical room, I think," Marat says as we tour the huge kettles, network of pipes, proprietary fruit crusher and bottling stations. A back room stores barrels of aging products. 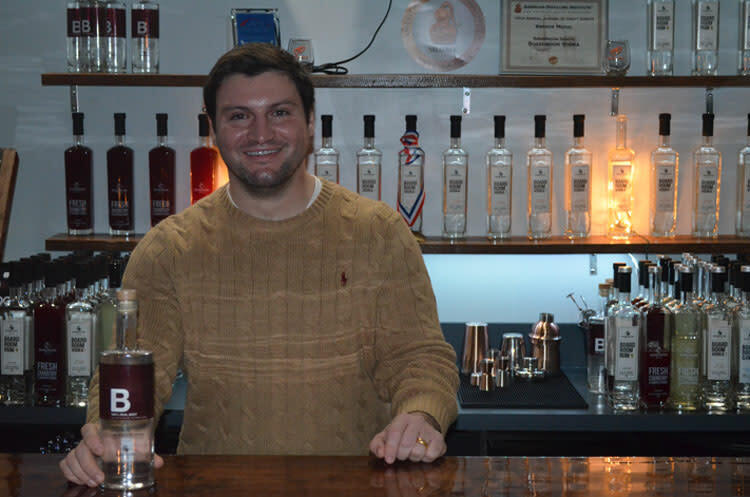 The product line at present focuses on vodka, gin and a specialty spirit made from fermented sugar beets. 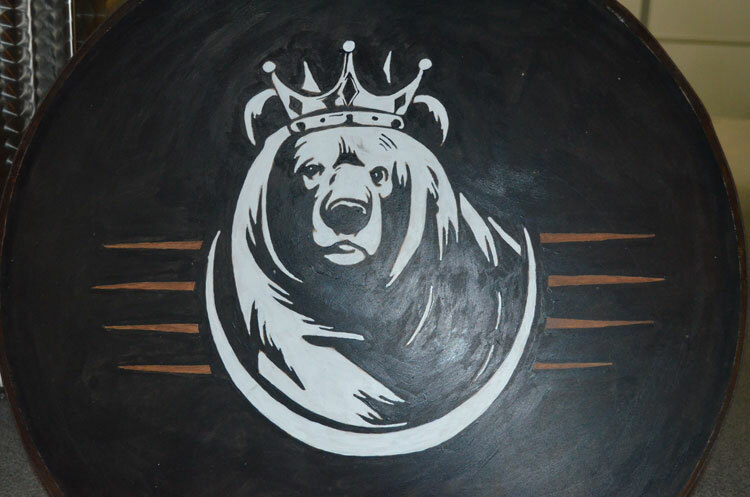 The Mamadovs&apos; future plans include expansions into whiskey and brandy. "We&apos;d like to launch something I&apos;m calling the Periodic Table of Alcohol," Marat says. "But instead of chemical symbols, our letters will indicate infused flavors. So A is for apple; Ap would be for apricot; B for beet; and so on. We might struggle with X or Z, but we&apos;ll figure it out," he laughs. The fall weather has brought the cranberry vodka to the fore, and as the calendar heads toward holidays and the winter beyond, Marat expects the sugar beet spirit to catch on. "It&apos;s an earthy flavor," Marat says, "fragrant and surprisingly strong. It&apos;s actually more like a brandy. We&apos;re trying to modernize brandies, getting rid of that whole English-accent, snifter image. Our beet spirit is a big step in that direction, especially in its use in other cocktails." 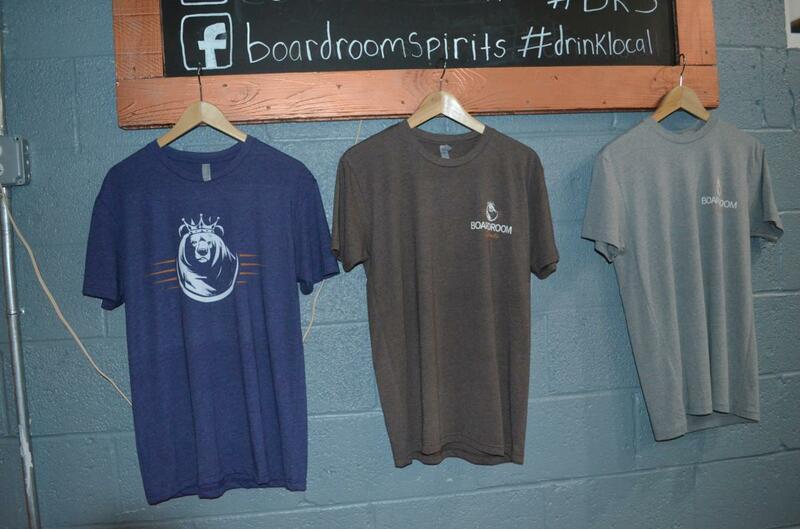 Boardroom Spirits hosts a number of tasting opportunities each month and is hopeful to increase their numbers. Guests can also tour the facility. Bottled products are available for sale, and this holiday season, they make both a great gift and a reliable addition for home mixologists.